Petitions are supposed to be like legal briefs, aren’t they? It’s quite difficult to imagine how to make four pages worth of rant (minimum) at the sickly and sour Japanese family courts, and the revulsion inspired by the thick US response into a quick, short, sharp, shock out of clumsy, unpoetic prose – >ZAP!< to sting two dinosaur powers, the U.S. and Japan with all their destructive potency. So here it is, from a night of trying. Perhaps a petition will come of it. A Step in the Right Direction? We think not. This day, July 25th 2015, the Japanese press agency, Jiji,¹ published an article describing the introduction in June of this year of a program of “‘online parent-child ‘meetings'” by means of which the Foreign Ministry of Japan means to showcase a measure it wishes to stand as a demonstration of its willingness to support the amelioration of severed parent-child relationships, in service of its obligation to the letter and spirit of the Hague Convention on the Civil Aspects of International Child Abduction. Parents outside of Japan have been informed by the United States’ Central Authority for the administration of the Hague Convention that they may wish to participate in this program, offering it as a “step in the right direction”² and urging parents to accept this as constituting a form of official assistance, one that is incidentally only in theory accessible through an elaborate and costly court procedure imposed by the obstructive Japanese court and “mediation” processes, as none have successfully navigated to the point of actually receiving this assistance as of yet. The purpose of this short paper and petition is to discuss rejection of this measure, and to state that we call for our children’s rights and our parental rights to be restored instead. What is this new measure? 1 A smart phone call – if the abductor approves: An online meeting using a personal computer or a smartphone can be set up if (and only if) requests for such communication with children from their parents are APPROVED by the abducting parent. 2 Discontinuation at any time: Any online meeting can and will be DISCONTINUED at the discretion of the abducting parent and third-party monitors in Japan if the conversation between parent and child appears in the judgment of the third-party monitor to be “inappropriate.” They have complete discretion to make this decision to discontinue the contact at any time. An example of ‘inappropriate’ might be that the parent from whom the child has been abducted might truthfully attempt to talk about how his or her absence from the child’s life over a period of years came about, and how it has affected them both. The parent might ask probing questions of his or her child, trying to find out if the child is well-treated, safe, or has difficulties in his or her life which haven’t been addressed. The pain induced by the abduction of the child and the disappearance of his or her parent might be referred to, or inquired into. 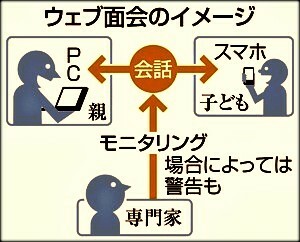 3 Fees for Private, For-Hire, For-Profit Monitoring of Parents Required: It must also be emphasized in this petition that the third-party monitoring of all of the online internet-video based communications is to be done by three agencies of Japanese origin, and that among these is the Family Problems Information Center, or FPIC. What is FPIC?³ The Family Problems Information Center is a ‘public-interest’ private, for-profit corporation which charges the victim parent substantial fees in order to provide the ‘service’ of making Skype internet-video conference calls to his or her child available with the monitoring allowed (or ordered) by Japanese law. Why must they charge fees to the parents whose children are victims of abduction? In part because the Japanese state refuses to pay them for their services; in part also, because this is a profit-making opportunity. FPIC is regarded as a privatized extension of the Japanese family court system. It is rife, not with child and family psychologists, but with Japan’s aged, former family court investigators, which means they have credibility with the Japanese establishment, and none with us, whose children’s abductions have been ratified by Japan’s family courts for fifty years. FPIC, as with the Japanese version of court mediation itself, is peopled with older Japanese who may think knowing what is best for families and children is based on the number of years they have spent in the bureaucracy considering what they do to be “doing good.” This widens the scope into how and why Japan’s family courts induce such extraordinary numbers of abductions in an otherwise modern post-industrial society, by providing a foundation upon which 3 million children in Japan have lost all meaningful access to their parent. The law of the state refuses to provide protection, instead turning children’s fates over to people without certification, nor with any meaningful educational requirements. FPIC mediators, who are now given the authority to guide the Hague cases, and who are by and large former servants of Japan’s family courts, like them, have no certification process of any kind, no educational requirements with respect to children, psychology and psychoanalysis, family dynamics, nor the well-being of children. Having no certification or training in the delicate and complex matters of family and forensic psychology, one hears that FPIC’s wish list includes development of a training program for parents, who apparently do not possess the superior wisdom and enlightenment that comes with being a paid bureaucrat. 4 Parents in the Panopticon: It should also be emphasized that whereas this type of online ‘meeting’ program as a substitute or supplement to parent-child visitation is becoming more common globally, the monitoring of such meetings by third parties is rarely if ever required, because it is intrusive and oppressive, putting parent and child into a punitive Panopticon in which they are not free. 1 Reject Substitutions, Restore Jurisdiction: The parents of abducted children reject the use of internet-video conference calls as an unacceptable substitute for resolution of Hague child abduction cases. The Hague Convention is first and foremost presumed and touted to provide measures for the return to home jurisdiction of children who have been wrongfully removed and deprived of an on-going relationship with their parent as it was prior to the abduction of the child. This return to home jurisdiction allows for the custodial arrangements under which the child is to remain and be raised to be modified in accordance with an orderly, unbiased process of law in which neither the parents nor the children are asked or forced to have their role as parent violated by an irrational or violent act such as an international abduction, kidnapping or wrongful retention in a jurisdiction abroad without the consent of both parents and the courts, with absolute priority and full consideration given – first and foremost – to the children’s well-being. The Convention was concluded to provide for this oversight of jurisdiction, and it is the responsibility of the signatory states to adapt and even to change their domestic law and practices if necessary, in order to protect the parent-child relationship, and to employ the law in the interest of protecting the fragility of the psyches of minor children. 2 Sacrosanct Guarantees for Parents: In addition, we claim here that guaranteed visitation and access to his or her child by a parent is sacrosanct, and cannot be substituted for by a state claiming that a smart-phone app or a computer screen video call is an equivalent or next-best provision to the parent-child relationship. It is in the interest of the child and of the parent, and of the relations between signatory states, that children be protected from predatory practices that separate children from their parents. This obligation cannot be alleviated by providing internet access from thousands of miles away, where the parent has no choice but to endure the coercion of a state (in which he has no rights) in the wrongful denial to him or her of his or her children. 3 Obstacles Subject Parents and Children to Mistreatment: The presence of third party monitors and the substitution of internet-video conference calls for parent-child relationship presents obstacles which are not in keeping with the spirit or the letter of the Hague Convention to which Japan is a signatory. For comparison, these obstacles are equal to or greater than those faced by felons in U.S. prisons who, despite being housed punitively in a federal prison, are permitted visitation with their children on the basis of the consensus among parents, families and child and family psychologists of all types that it is in the best interest of the child for his or her healthy, on-going emotional and psychological well-being, growth and personal development to have unfettered, ongoing, uninterrupted relationships with both of his or her parents without the interference of the state or of the former spouse, the child’s other parent. In U.S. courts, it is necessary for there to be a finding, based on an evidential hearing, that a parent is a danger to his or her child in order for such prohibitive monitoring and interference in their meetings to be forced on them. Therefore the presence of third-party monitors is frowned upon and rejected by us, the undersigned, as a form of interference in the children’s and parents’ well-being. Japan is such a high-risk jurisdiction. However, the State Department chose to give Japan a pass and find Japan compliant in the report this year, at the request that it do so of a delegation of Japanese officials who came to Washington in the spring of 2015. This is despite the presence of between 30 and 50 Hague cases which have been filed and sent, via the State Department, to the Japanese Ministry of Foreign Affairs this year, not one of which has been adjudicated by a Japanese court of law, and none of which has been responded to. None of our children have been returned to us, and the two governments are working in tandem to relieve Japan of any pressure to do so. It is likely that the Department of State, which opposes the law (ICAPRA) and the Japanese state, which has resisted abduction prevention for tens of years, have decided conjointly that if they can get a quick fix like the internet-video ‘pseudo-visitation, pseudo-access’ parenting program running, then they can, in their view, legitimately make the claim that Japan has further bolstered its position as a compliant, children’s human rights-protecting, child-safe state. It is not, and there is no significant force on the horizon to make it so. Japan still has our children. We reject this proposition out right, and demand instead that both countries come into the adult world with the rest of us and provide a fundamental social necessity, protection for children and parents, and restoration of our children’s parental rights, with appropriate speed. ³ This account of the FPIC is heavily indebted to personal communications with friends and colleagues in Japan. Beautifully written. I hope it finds its way to people who care & can influence the process. The third party monitors which Jiji is reporting on here, the agency which is the “new” Japanese institution which is now going to “monitor” computer-based “online” conversations between the thousands of abducted children in Japan and their parents is the Family Problems Information Center (FPIC), which is a private, for-profit company, which will charge large fees to the parents of kidnapped children who have been abducted, imprisoned, their identities and locations kept secret from their parent, in Japan. This supposedly wonderful new agency which is going to revolutionize the communications between Japan’s millions of abducted children and their lost parents, is composed of old people who have worked for years in the Japanese family courts as “mediators” whose job, at least since the Hague Convention was completed in 1980 and perhaps longer, has been to argue in family court rooms that continuing relationships between children and their parents after the parents have divorced was “a bad idea”, despite the voluminous psychological literature to the contrary. Now, in the miraculous world of 2015, the same unqualified, untrained persons, with still after decades of neglect by Japanese society, STILL no certification process or minimal educational requirements that would qualify them to have opinions about forensic psychology or psychoanalysis, who know nothing about the well-being and development of children in relationships with their parents aside from some anecdotal, disorganized nonsense, will now be empowered by the Japanese state to CUT OFF conversations between parents and their children if they and the abducting attorneys and parents decide they want it so, because for example, they might mention, in desperately trying to reconnect with their children, that the reason they have been absent for five or more years from their children’s lives is because the Japanese state has protected their abductors, and stood in the way of the return of the children to the jurisdiction from which they were abducted, where they were growing up until they were kidnapped. Honest conversation, appeals to understanding and reason, emotional appeals to love, all of these might be the grounds upon which the absurd “Skype call” – substituting for restoration of the parent-child relationship that Japan severed with state power – could be arbitrarily terminated. 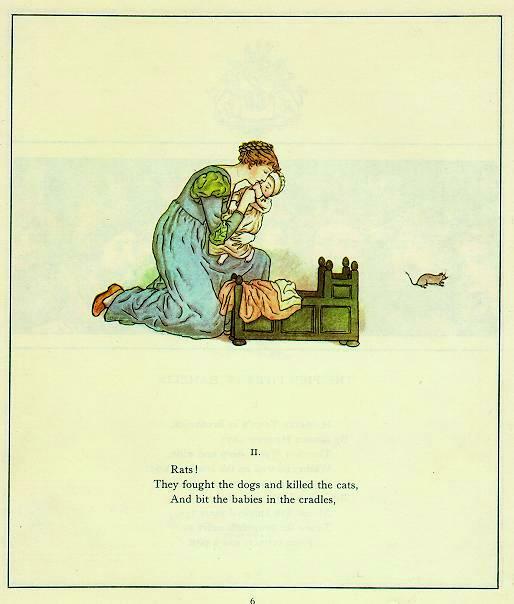 And the discretion in all of these instances lies, still as it always has done, with the child abductor, the parent whose regard for the children’s well being is SO low, so poor, so ineducably wrong, that they abducted the child and kept him or her from maintaining his or her relationship with his or her own parent. This entire charade should be unequivocally rejected by every parent, every psychologist, every humane and decent observer of children. The Japanese state continues to be the world’s Black Hole for Child Abduction, from which NO CHILD has ever emerged. This is a scandal, and hideous abuse of power, and exploitation of the pain and love that parents bear for their children.